When a woman has undergone a mastectomy and no longer has breasts similar in size or shape to her original form, she may desire cosmetic surgery in order to enhance her physical appearance. Other times, a woman may desire to augment her breasts with artificial implants. These two operations are collectively known as breast reconstruction and implant, with millions of operations annually for women looking for a more appealing aesthetic to their upper body. Most reconstruction or implant surgery takes place over two separate periods of time. In the first period of time, the surgeon will expand the tissue around a woman’s breasts in order to accommodate an implant without tearing. During the second part of the surgery, the actual implants will be inserted into a woman’s breast tissue. Often, a plastic surgeon inserts these implants through a cut in the armpit rather than the chest itself, so that there is no visible scar tissue around a woman’s breasts. An implant will be made of either silicone or saline. 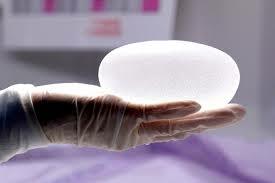 Silicone breast implants have more durability and a longer life than saline implants, but a higher risk of health concerns if they are punctured or leak. By contrast, a saline implant has no negative health ramifications but can only be expected to last about half as long (usually five years compared to ten years) as a saline implant. Risks in either case are usually very low, with a failure rate of less than ten percent for silicone and saline implants. The overall health effects of this surgery are fairly minor. Few women report anything other than mild discomfort in the days and weeks after surgery. However, an infection can make it necessary to remove the implants or reconstructed tissue. If scar tissue forms around the breast, furthermore, it will appear hard and unsightly, and will need to be removed.